Chain link fences and gates are considered one of the most affordable solutions in the industry. They’re constructed out of galvanized steel and can last for several years without much maintenance. Homeowners recognize these products as a popular option for their properties and choose to have them installed for the reasons discussed below. 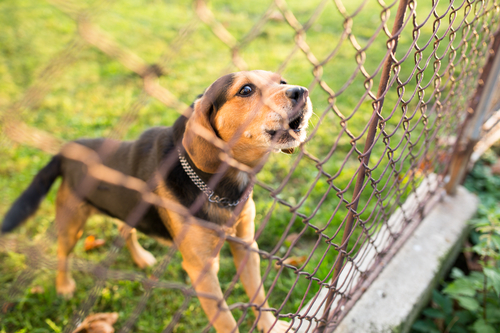 If you have pets or small children running around outside, a solid fence will create a visible boundary they can’t cross. It gives them the freedom to enjoy the outdoors without requiring constant supervision and eliminates the possibility of them wandering off. Chain link fences and gates are also useful for increasing the security of a property. They come in a myriad of heights and can be made to surround the entire length of a yard no matter how big or small it may be. If you’re concerned about someone attempting to climb the structure, several features can be added to deter a potential intrusion, such as barbed wire or tape. The final reason homeowners might choose to have a chain link fence and gate installed is that they’re beginning a large remodeling project. These products help to designate where the construction is to take place and could prevent surrounding areas from being negatively impacted by the work. Plus, if the contractors have equipment or machinery that they want to leave on site, then they’ll have a secure area in which to keep them until the next workday arrives. Are you interested in learning more about chain link fences and gates? McBride Fence of Clinton, WA, has provided quality fence installation services since the 1950s. They’re recognized as the region’s leading residential and commercial fence contractor and supply the cost-effective solutions their clients deserve. Their selection includes everything from chain link to ornamental iron, so you should have no problem finding a product that suits your taste. Call (360) 579-2957 to talk with a representative or visit them online for additional information. Other Announcements, Events and Deals from McBride Fence Inc.